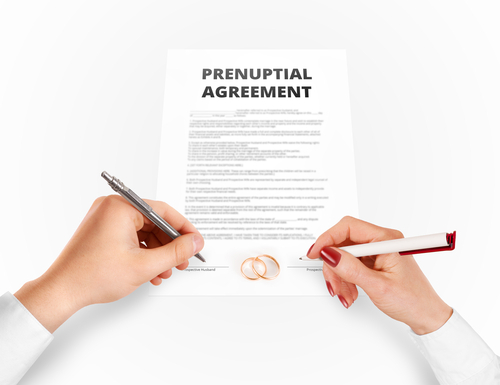 Is It Always Necessary to Get a Prenuptial Agreement Lawyer? When two people are in love and planning a wedding, the last thing that anyone involved wants to consider is the idea that their marriage may someday come to an end prematurely. However, couples do need to be aware of all the possible circumstances that can arise. So, preparing a prenuptial agreement before they are wed may be a very wise and financially prudent thing to do. That leaves the question: should all couples get a prenuptial agreement lawyer to manage these details, even when both partners feel as though they would be able to handle this type of situation themselves? Regardless of how solid a relationship a couple may have, it is frequently a good idea to engage a prenuptial agreement lawyer. This does not mean that there won’t be numerous aspects of the prenuptial agreement that both parties can agree on before the process even begins. In fact, the more items that both of you can agree on in the beginning, the better the entire ordeal will be for you in the future. Nonetheless, there are still several issues that you may not even be aware of that are best left to be handled by an experienced New Jersey family attorney. Even in the most positive of relationships, the best route to take will be one in which each of you retains your own lawyer to draft a prenuptial agreement, or one of you retains a lawyer to prepare the agreement and the other retains a lawyer to review it so that you both have someone looking after your best interest. 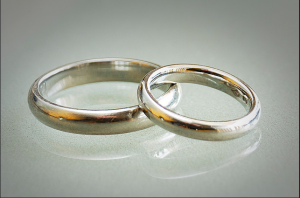 The truth is that any prenuptial agreement will be examined very closely by the courts, and having an agreement that was prepared or reviewed by the two separate lawyers for each of you only helps everything go more smoothly. If neither of you has a lawyer, or if only one of you does, then the agreement will have to be scrutinized even more closely, as the chance of the agreement not being complete or possibly being one-sided becomes even greater. If each of you has your own lawyer to look out for your interests and to help you come up with a more solid prenuptial agreement, any future divorce proceedings will almost always be easier to deal with. Another aspect that makes it important for you to both have a lawyer is the different laws that exist in each state. These laws vary greatly throughout the country. If you are not aware of the specific details that make up each of these laws when making your prenuptial agreement, important issues can easily be missed or overlooked. By having a knowledgeable attorney deal with matters such as these in the beginning, rather than finding out about them afterwards when you are in the midst of a divorce and tensions are running high, you are more likely to avoid the difficulty of needing to confront this kind of circumstance. In the end, a happy relationship will make it easier to agree on the essential terms of your relationship. There are a number of issues that are best left to be dealt with by a qualified attorney. Call the Law Office of Daniel K. Newman at 856-309-9007 to set up a free consultation today or fill out our online contact form. To ensure financial solvency and to protect assets, some individuals may choose to sign a prenuptial agreement. The decision to get a prenup, however, should not be based on wealth. No matter your financial situation, a prenup could add a layer of protection to your finances and benefit your relationship. First and foremost, prenups are an essential tool for business owners. In the event of a breakup, this agreement protects small businesses by keeping commercial assets with the owner. Divorce lawyers may try to claim partial or full ownership for their client, even if the client was not involved in the day-to-day operations of the business. A prenup ensures one party maintains legal ownership. Building a small business is a monumental task, and business owners can help ensure the integrity of their life’s work by seeking counsel from an attorney before tying the knot. Prenups are not just an arrangement reserved for the wealthy. If one spouse enters a marriage with a significant amount of debt, a prenup may protect the other spouse from these debt obligations. In some instances, one party may have to relocate or quit a job for the marriage. Upon divorce, it may be challenging to find employment. A prenup could make this person financially whole by providing support. While it’s not romantic, the process of sitting down and discussing finances and goals can strengthen a relationship. Couples need to have an open dialogue and a shared vision of proper money management. Disagreements over money can dissolve a marriage. A prenup is a preventative measure that removes all ambiguity. It gives couples a solid foundation to build a long-lasting marriage. A divorce lawyer can prepare a prenup. During a consultation, this attorney should cover these benefits as well as other logistical information to help you make an informed decision. Remember, a prenup can strengthen the bond between two people all while providing invaluable asset protection. Thanks to Andrew Bird on flickr for the image used in this post.